Zimmer has also never used language like “very very”, nor has he ever called out the “Twitter doctors” before. Zimmer has certainly been very vague, or even flippant, about a player’s injury before, but this wasn’t the same approach. I've actually been thinking we should consider trading Rhodes. Xavier misses a lot of plays due to minor injuries, and he is getting a little older too. By comparison, Waynes almost never misses any plays and he adds some things in terms of toughness, that Rhodes doesn't give us. Rhodes is better in coverage, but I've been thinking that if we could live with the combination of Waynes and Hughes next year, maybe we could trade Rhodes for a good lineman or a linebacker to replace Barr. I think something has to be considered. We're loaded at CB with two expensive salaries in Rhodes and Waynes. Hill and Hughes both look like they can play in this league. The alternative to not putting up a CB on the trade block is not having the ability to afford Richardson and Barr and not being able to make immediate improvements along the OL. But maybe that's okay. Maybe we can hit on the first three picks with immediate starters because we will need two Guards and a LB or DT. Would Barr+Richardson and an additional 2nd or 3rd round pick be better for this team than keeping all current CBs together, losing Barr or Richardson and having one fewer top 100 draft pick? They can keep all 5 CBs through 2019, and should. If Waynes will sign for what he’s worth (good CB2 money), they should extend him. Unfortunately there’s a good chance Rhodes has already peaked. It might be the injuries but he’s not an elite corner this year. He turns 30 before training camp 2020 and will have little dead money ($4.8M) left for the last 3 years of his deal, with cap hits of $13M, $14M and $14M. They could probably get him to take a pay cut at that point in return for more guaranteed money over 2 more years. We've seen similar dropoffs from Griffen and Joseph this year, and even Smith has taken a step back. 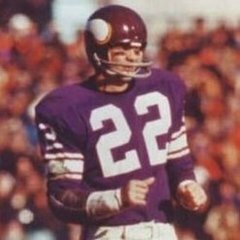 Rather than seeing the current long term contracts on the roster as locked in, with other contracts (Richardson, Barr, Waynes) being negotiated around what’s left over, I’ll bet the Vikings are planning to claw back some of those contracts: Griffen has only $1.2M in dead money remaining in 2019, Joseph has $3.6M in 2019 and $2.4M in 2020, while Smith has $4M in 2019 and $2M in 2020. Predict Griffen takes a pay cut in 2019, Rhodes in 2020, and Smith and Joseph either in 2020 or 2021. They should be able to keep the defense together for as long as they continue to play well, moving on from players only as they decline and are replaced internally (Hunter took over from Robison, now Harris from Sendejo, and eventually Hughes and Hill from Rhodes). it doesn't matter much to me that Waynes is a "physical" player. he seems to tackle hard right after the ball is caught and stop any yards after contact, but it's still a completion. who has the stats on yards given up per game for all our CB's? Waynes has allowed 37.5 yards per game. Rhodes has allowed 37.9. Alexander has allowed 32.2. Do you have number of targets with those numbers? Correct me if I am wrong in my assumptions, but wouldn't the Vikings potentially receive more in compensation for trading Rhodes in his "prime" then keeping his expensive contract and just letting Waynes walk? I know it's a risk, but if Hughs and Hill can make up 75% of Rhodes production and Waynes continue to improve his technique (which I think he's done a good job at) then why not make the trade? alright, good to know. what about per catch then? Because you don't cut off your nose to spite your face. To use the example of Belichick, you get rid of your player 1 year early, not 3. In a league where 1 or 2 plays can make all the difference in a game, 75% of the production can be the difference between going 10-6 and 6-10. Because you don't cut off your nose to spite your face. To use the example of Belichick, you get rid of your player 1 year too early, not 3. You may be correct. I don't like the idea of losing a really good player in his prime either. Yet, with the likelihood that Barr and Richardson leaving via free agency, and Waynes not being resigned...the Vikings are receiving little to nothing in real compensation. I also don't like the idea of losing really good players and not getting much in return. I think by trading Rhodes the Vikings could receive a couple of pretty decent draft picks or a player we have our eye on. the Vikings are receiving little to nothing in real compensation.